Idaho - Boise, Moscow, Idaho Falls Indian Community | | Where do you live? 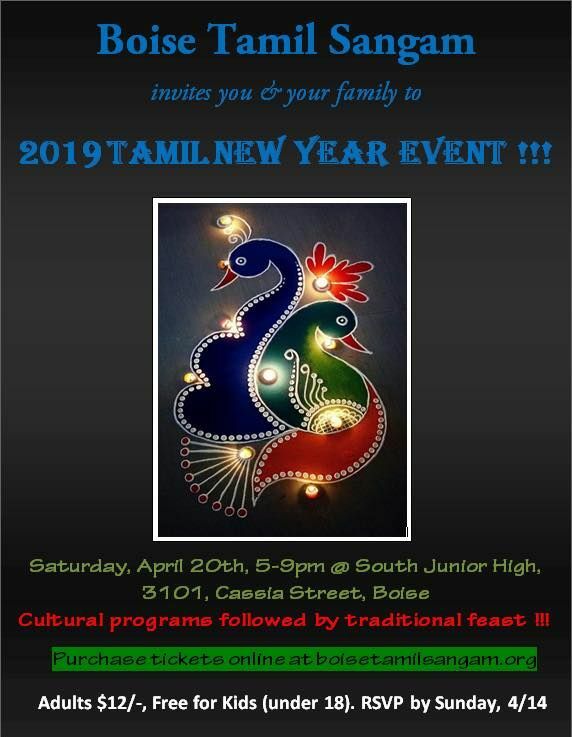 Please note Boise Tamil New year celebrations occurred in past. Ticket includes cultural programs followed by traditional feast. Please make sure to RSVP below total number of attendees. Note: We provide all Indian (desi) events. 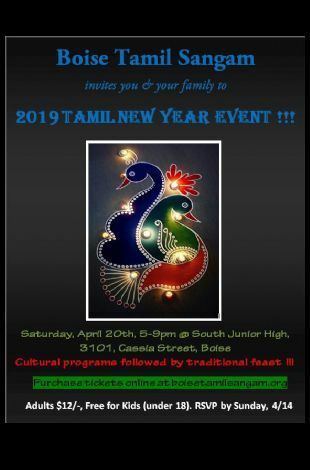 Your source of all the Desi Indian events happening in and around Idaho - Boise, Moscow, Idaho Falls. IdahoIndian.com has tried it's best to provide accurate information, we request you to check our site for updates. IdahoIndian.com is not responsible for any cancellations or changes in events. IdahoIndian.com is operated under IndianLoop.com network (Broadlink, LLC site) and is a Trademark of BroadLink, LLC. Any unauthorized use of these Trademarks is strictly prohibited.